The Archbishop of the Catholic Kampala arch-diocese Dr. Cyprian Kizito Lwanga has stood firm on his earlier statement that government is recruiting priests, catechists and seminarians to spy on other religious leaders. On Good Friday, Lwanga warned government that the people it is using to do intelligence work are not effective and giving it wrong information. 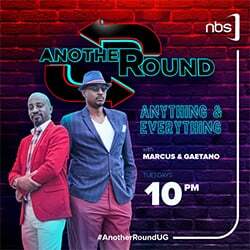 However, while giving his Easter sermon at the Rubaga cathedral in Kampala, the man of God said he could not mince words about something he knows is the truth. “Some of them have guns and come with them to church.They should stop or else we shall be forced to have everyone checked before coming here,”Lwanga said. Lwanga, who is also the chairman of the Uganda Joint Christian Council cited an example of a priest who died recently and after his burial, security agents came and requested to be allowed access the bedroom of the deceased man of God, only to come out with a pistol that had been given to him. The government spokesperson Ofwono Opondo on Saturday laughed at the church for their acknowledgement of the presence of bad priests adding that if they can be present in church, the same can happen in government. “How come that the church which is millennia old can have the bad clergy and thinks the Ugandan state that is only 56 years old can’t have some bad elements in it,”Opondo told NBS television on Saturday. “The so called bad clergy may be bad in the church but could be useful in as far as bringing information from the communities where they stay,” he added. 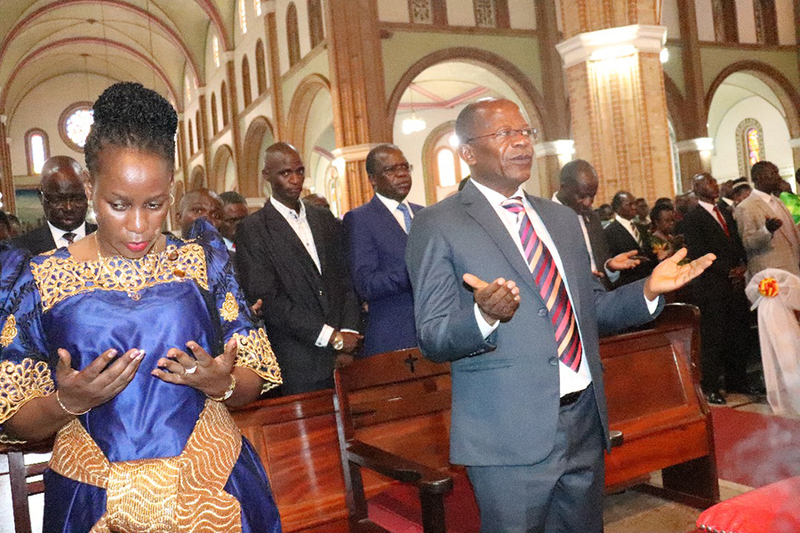 In his Easter sermon, Lwanga said that no one can stop government from doing intelligence work because it has been in practice all over the world for many years but warned that whoever is recruited should be truthful to avoid tarnishing other people’s names. He asked President Museveni to reign in on the intelligence organs and the people they recruit warning that they might lead to his (Museveni) downfall if they continue trading in lies. The State Minister for Higher Education, John Chrysostom Muyingo distanced from the claims of spying on religious leaders by government saying the relationship between the two entities is cordial. “We appreciate the good relationship between government and the church. Those who are calling you(Lwanga) to tell you all sorts of things should not distract you. Everything is good,”Muyingo said. The minister however warned against the use of technology for destroying the country instead of building it, citing people who use phones for other things contrary to what they were meant. The repeated statements by the man of God seem to be an indicator that things are not right in regards to the relationship between the central government and the church. In his New Year message last year, Museveni referring to them as ‘’fake prophets’’ said many religious leaders speak most authoritatively on all and everything, even when they have not bothered to find out the truth.